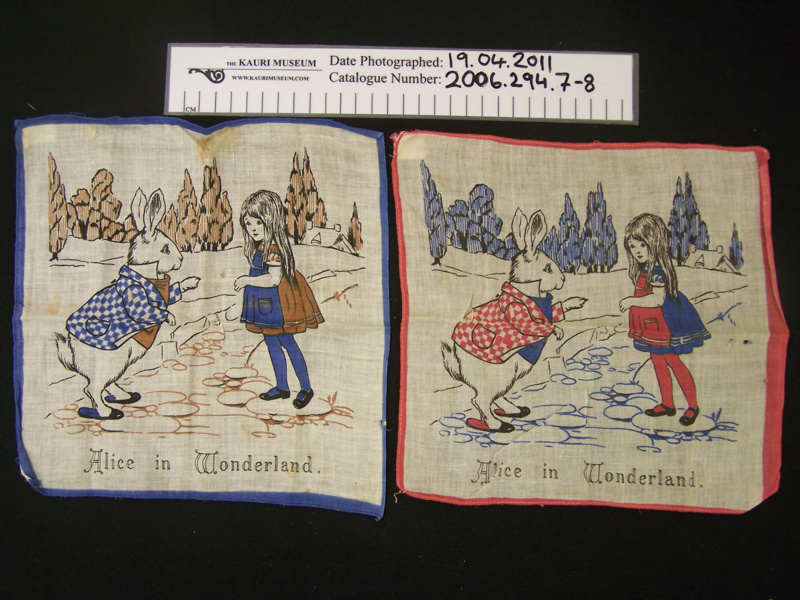 2 child's handkerchiefs with a scene from Alice and Wonderland. Cream cotton, one with blue edge and one with red. Each reverse colours to each other, red and blues but identical in picture.